Romy found out about the San Francisco Beer Week, a kind of festival which isn't really a festival, which is going on this week. Basically, local breweries, and some bars and restaurants do special events all week long to get people drinking beer. They bust out special brews, or run demos on the beer brewing process, etc. 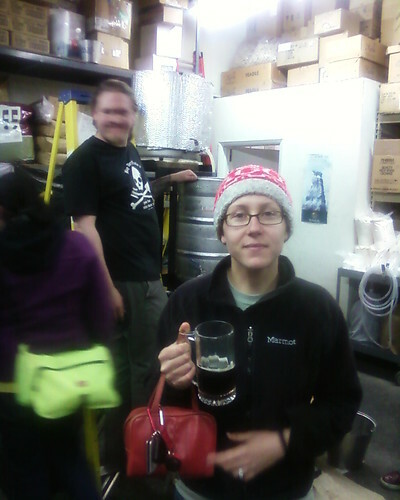 We went out tonight to The Oak Barrel, which is a local brewshop in Berkeley on San Pablo Ave. They sell ingredients and supplies to brew your own beer at home. They had local brew-masters come and share special brews on tap. There were 6 different kinds, and we tried all of them! While we were there, I took some pictures on my cell phone. 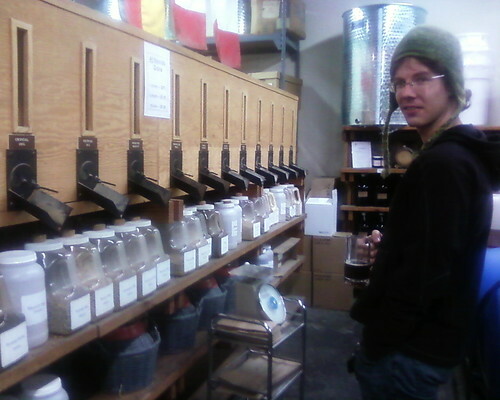 Checking out the bulk aisle of grains at The Oak Barrel, beer in hand. The first one I had was a red, which was really spicey. Romy had a double IPA for his first. I know, we started out kind of heavy for our first beers, but they brought out kegs one or two at a time, and those were the first ones out. Then we tried a honey hopped wine, which was sweet and reminded us of kvas that we drank in Russia, which is a fermented drink made out of stale bread. Sounds gross but its sooooooo good!!! The honey hopped wine was really too sweet for me. Then we tried an amber ale, that was over 9%. I didn't taste any alcohol in it, it was the lightest tasting one one I had. There were two brown ales, which I liked the best. 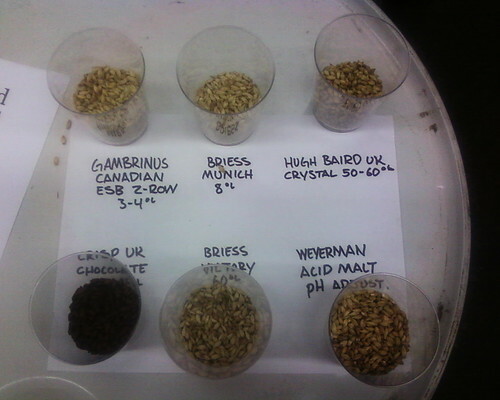 Part of the beer brewing demo set up. The tasting was going on outside in the small parking lot. They gave you a large glass stein and you could taste as much as you want, all for free. 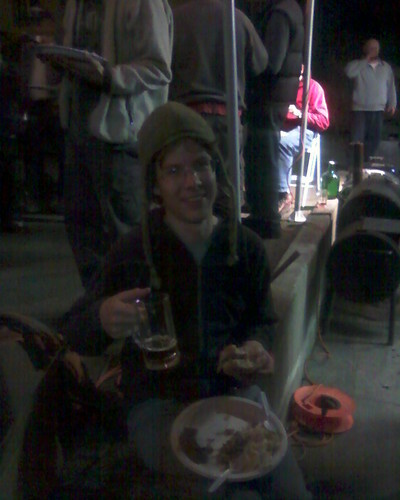 Then, to top it off, they had a big BBQ, with ribs, pulled pork, sausages, and hamburgers. That was all free too. It was a great time. Romy eating some BBQ and having a southern brown ale. Inside, the local brew-masters gave a beer brewing demo. It started at 5pm when they started cooking. Whenever we came inside to check out what they were doing, it seemed like it was always just cooking. They had huge containers, basically kegs which they cut up so that they would be large pots. It had three levels of burners. They had quite a system set up. I don't know much about home brewing, but Romy and I are thinking of starting. We checked out the brewshop's homebrewing starting kits, but for now, they are a bit expensive. We'll be looking on craigslist for a while to see if we can score anything from there first. Beer brewing demo in the back room at The Oak Barrel.